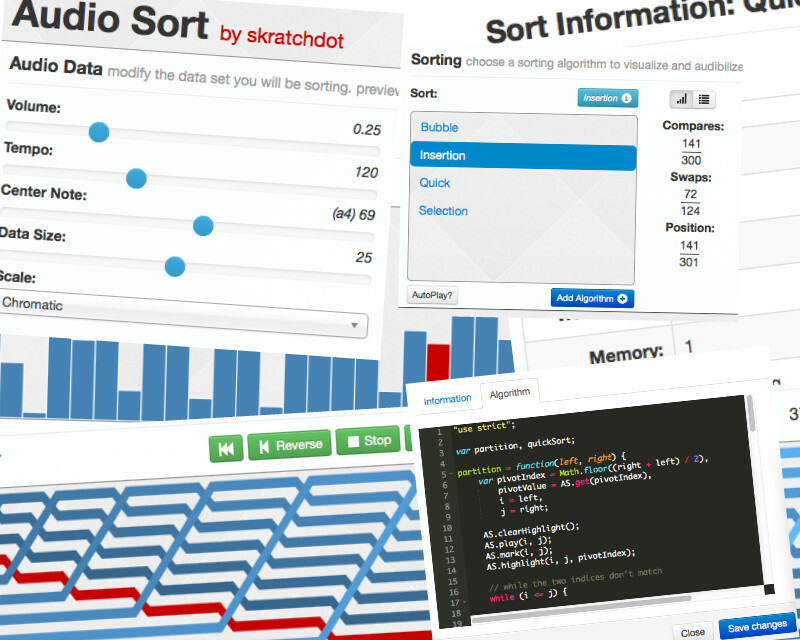 A few weeks ago I saw a video on youtube that showed what different sorting algorithms look (and sound) like as they are executing. I also wanted to attempt to make the audio “sound good”. I came up with something fairly quickly, but then started researching websites that provided similar functionality. The more I researched, the more features I wanted to add. Check the long list of links I researched while working on Audio Sort.